So the advanced screening of the new Hobbit movie was a joy! 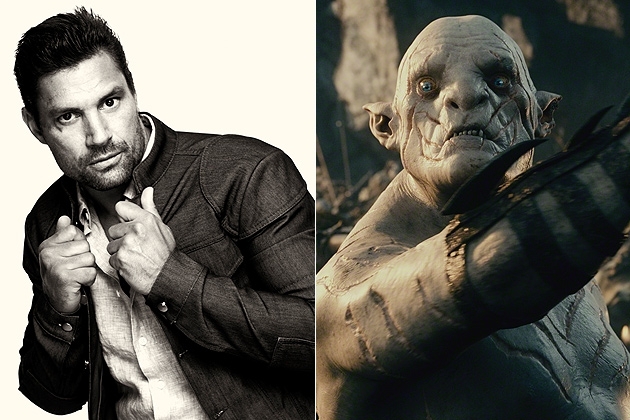 One of the actors from the movie came to watch the movie with us: Manu Bennett (who plays the leader of the Orcs). He’s from New Zealand and it was pretty cool that he joined us. He talked a bit about how he got cast and how filming was for him. Without further ado, here are my two cents on the movie! We begin where we left off in the last film, and Thorin and his crew must continue on their way to reclaim the dwarves’ homeland. Early on in the movie, Gandalf leaves the dwarves to go on a short quest of his own. The dwarves brave many obstacles to reach Erebor, and they must also figure out what to do with the dragon that sleeps amidst it. We get to see Orlando bloom from the original LOTR movies again! Benedict Cumberbatch’s voice is amazing as Smaug. His voice as the necromancer sounds nothing like him, whereas you can really hear his voice in Smaug. If you’ve read the books (NO SPOILERS SO KEEP READING), I can tell you that that certain plot points were changed. For one, Kili (the hot dwarf) and Tauriel the elf has a romantic subplot. There are others, but I would be spoiling if I said anything more. However, I am super excited for the ending now because I had some issues with how the books ended. Praying to God that things go the way I want with the rest of the movie! I thought that they cut of the first movie wonderfully. The story arc of escaping from the orcs ended and although we know the movie doesn’t end, we are contented that some sort of conclusion was reached. The Desolation of Smaug’s ending was very unsatisfying. It may have to do with the fact that this movie branched off into a lot of subplots, so there was no good way to sum them up. If that is going to be an issue with you, maybe wait till the last movie comes out? My final verdict? Great movie, glad they changed stuff from the book, but very unsatisfying in the end. The movie opens on the 13th of December in Canada! Let me know what you think! How smart can you sound? Definitely a must watch, huh? Does the white orc die? I’ve never been into the Hobbit but really enjoyed your review. What a shame that the ending fell short. Nice review. I really enjoyed the first part, and I’m looking forward to this one.